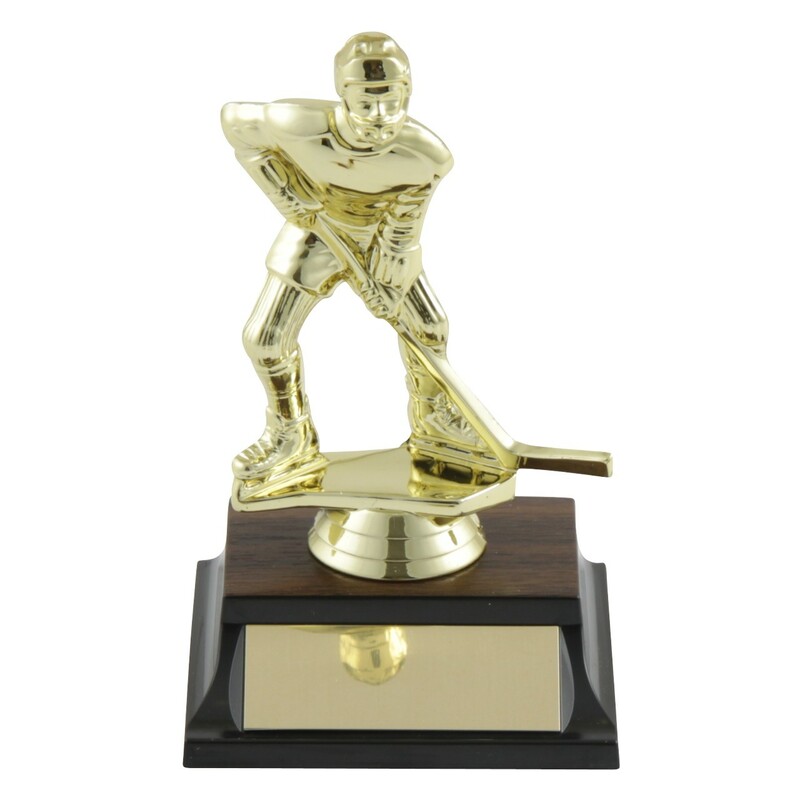 The Basic Defender Hockey Trophy makes fun co-ed hockey trophy the entire team will love! 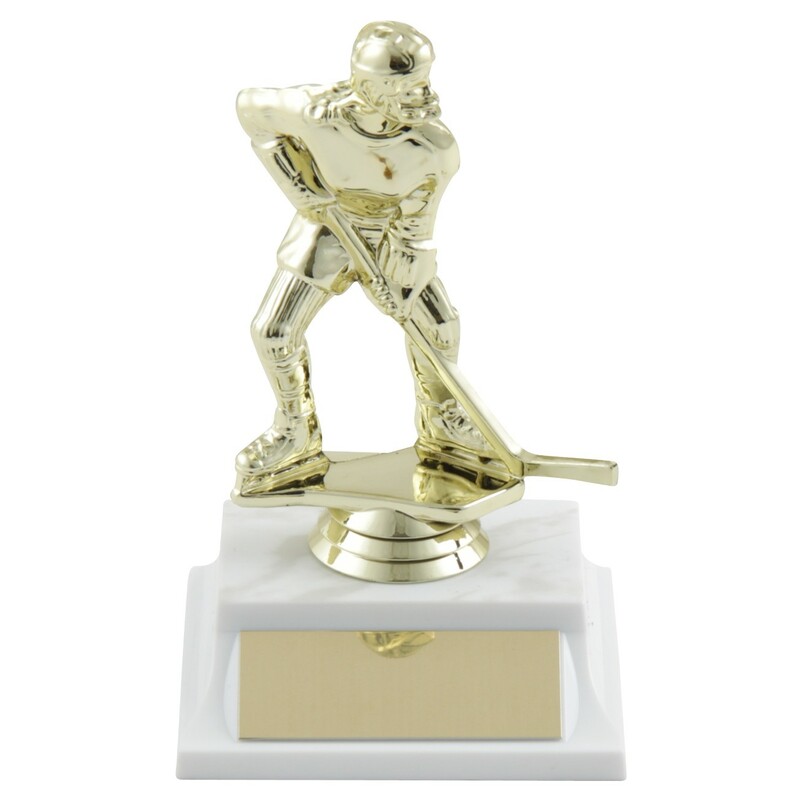 For both boys and girls, this youth hockey trophy features a golden figure in defensive position. 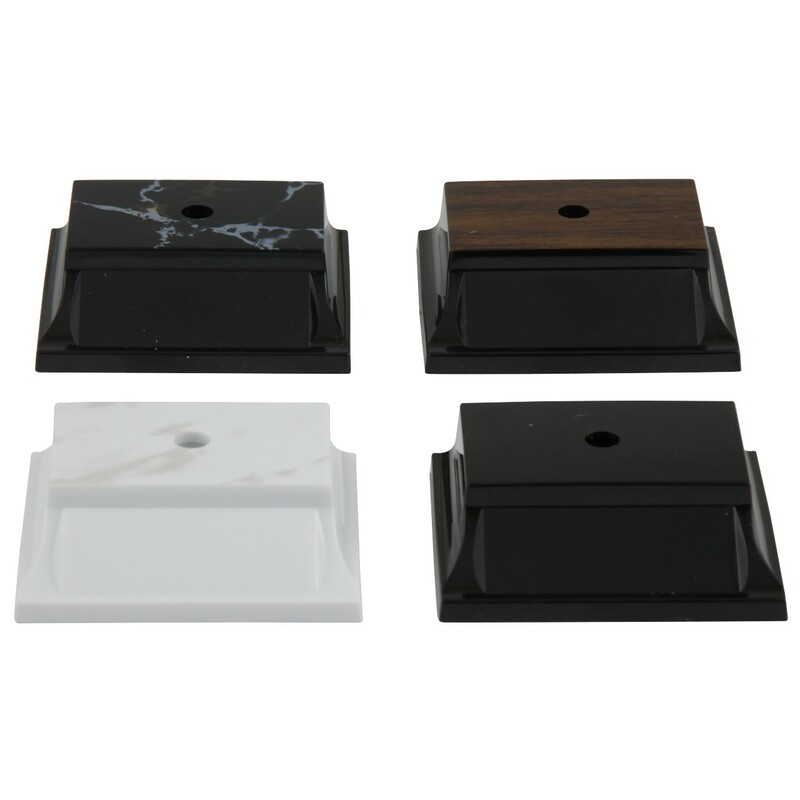 At 5 1/2" tall, you choose the base color. Three lines of engraving are included for FREE!